This Stator Coil Magneto is for Longjia LJ50QT-H 50 2T Grido LJ50.Alternator stator with 3 pin connector and 2 single connection cables for China 2 stroke engines 50 cc Scooters. 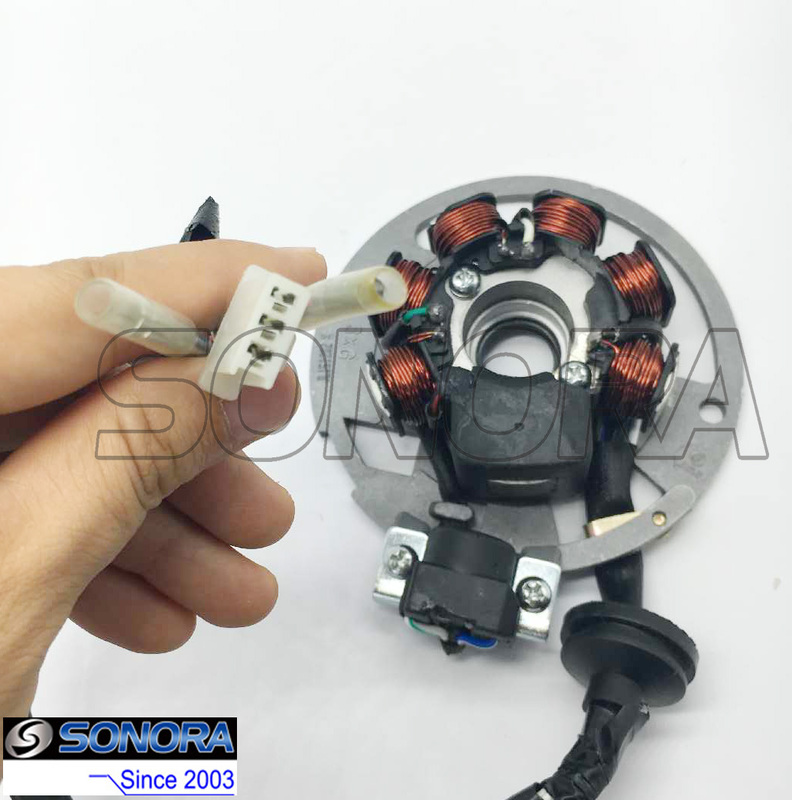 This is an 1 x 6 Coils Ignition Stator Magneto.It is made of good quality pure copper wire, and giving stable and reliable performance,help the bike easy to ignite, work smoothly. The application of the Starter Motor:Longjia LJ50QT-H 50 2T Grido LJ50, or other China 2 stroke engines 50 cc scooters. Looking for ideal Longjia 2T Scooter Stator Manufacturer & supplier ? We have a wide selection at great prices to help you get creative. 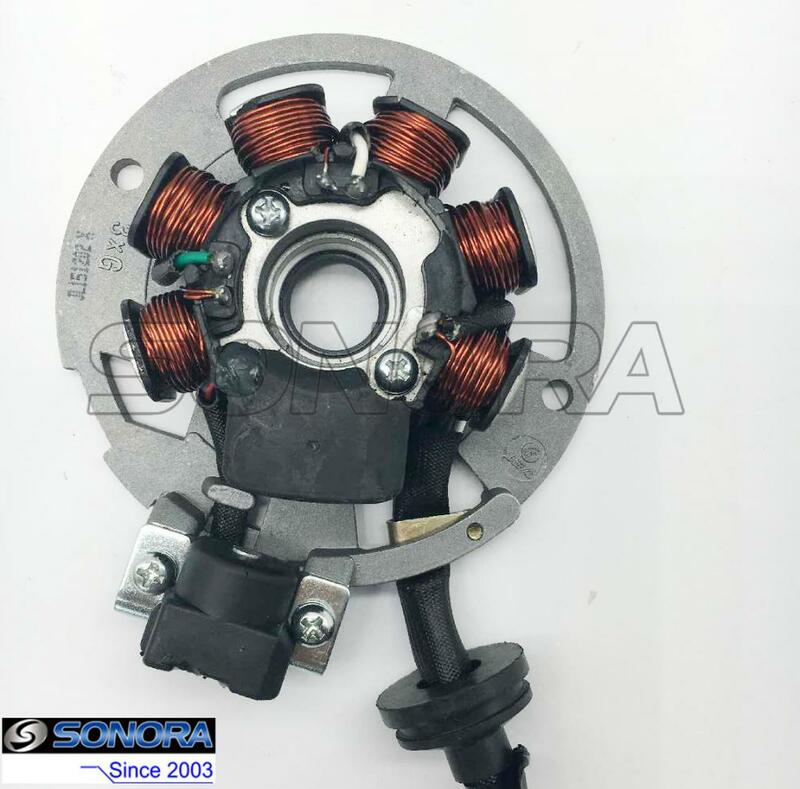 All the LJ50QT-H 2T Stator are quality guaranteed. 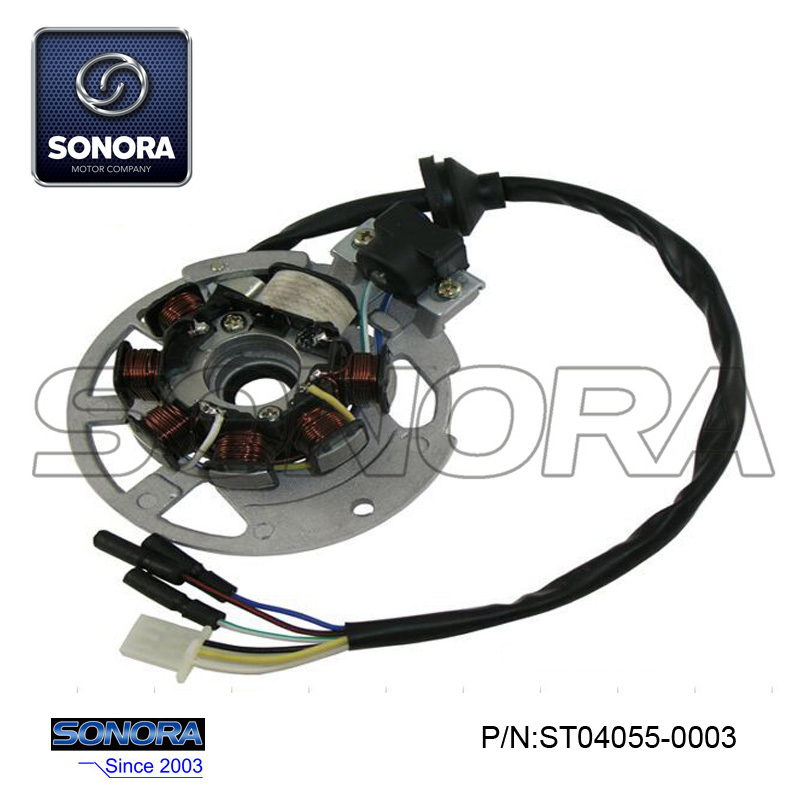 We are China Origin Factory of Grido LJ50 Stator. If you have any question, please feel free to contact us.